Gilbert & Cook, Inc. is expanding their investment department and is looking to hire an Investment Analyst. The team member will carry out a variety of asset management related tasks on a daily basis while providing support to senior investment professionals. The ideal candidate must thrive in a fast-paced team environment with the ability to grasp new concepts and skills quickly. This position has the opportunity for long-term growth as it will be exposed to all areas of the firm’s investment process. Areas include due diligence, accounting and performance measurement systems, client education, security selection and trading, portfolio management and asset allocation strategy. Gilbert & Cook, Inc. is a successful, fast-growing private wealth management firm located in West Des Moines, Iowa, part of the Greater Des Moines metro area. The Company is a Registered Investment Adviser with the SEC and is an affiliate of PKS broker/dealer. Founded in 1993, Gilbert & Cook serves a unique group of high net worth individuals, families, and institutions throughout the United States with regards to their investment management, financial planning, insurance, and estate planning needs. Our reputable team consists of 21 people overseeing over $500 million of assets under advisement. We are pleased to announce that Al Ryerson, ASA, has joined our firm as a Lead Strategist. Al joined Gilbert & Cook in January 2019 following a successful career as a Certified Public Accountant and Tax Advisor, Chief Financial Officer and Business Valuation and Financial Litigation Consultant (and a brief, unsuccessful attempt at retirement). Over his 40+ year career, Al has earned the following designations and certifications: Certified Public Accountant (CPA), Accredited in Business Valuation, Certified in Financial Forensics, and Accredited Senior Appraiser. He has been active in the Iowa Society of CPAs, Financial Executives International, Des Moines Estate Planners, ESOP Association, and Wednesday Tax Forum. As a Lead Strategist at Gilbert & Cook, Al focuses on the complex business and personal financial inter-relationships of our clients. We are honored to have Al join our Gilbert & Cook family. Al has been a trusted friend of the firm for many years and we are looking forward to adding his vast experience and talents to our team. Read more about Al and the rest of our Gilbert & Cook team in our “About Us” section. 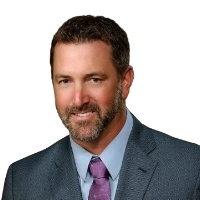 We are pleased to announce that Shea Mears has joined our team as a lead Financial Advisor. Shea brings a rich background and skillset to the Gilbert & Cook team, with experience in financial planning strategy and implementation, education, investments and tax planning. Utilizing his experience and talents as a former tax professional, Shea looks forward to creating financial planning and tax mitigation strategies for the clients of Gilbert & Cook. 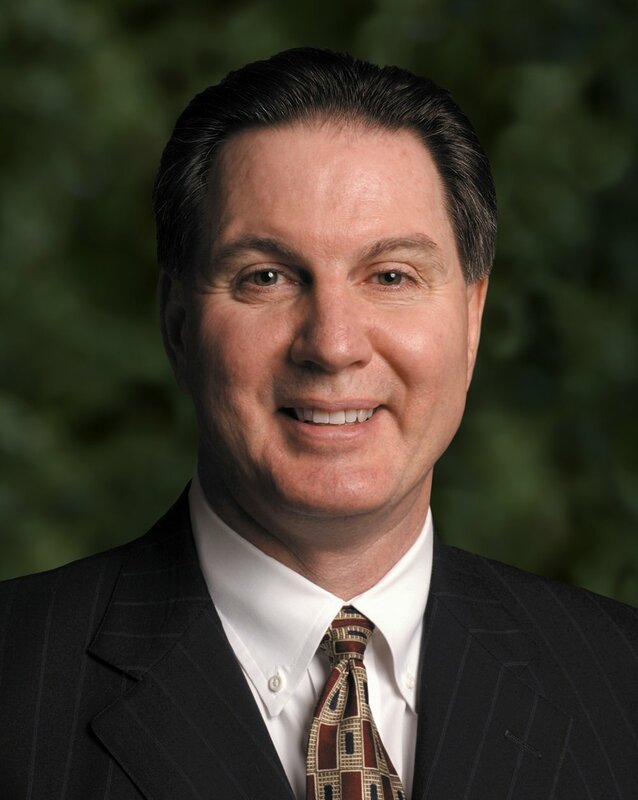 “Gilbert & Cook is one of the most respected Wealth Management firms around. From inception the Gilbert & Cook team has focused on taking care of clients through sophisticated planning and investment techniques. With that philosophy, they have built a team of highly educated, highly experienced professionals that work together to ensure that the client experience is second to none.” Shea explained. Not only has Shea been a Financial Advisor, he has been dedicated to giving back to others as an educator – formerly an accounting professor at the Des Moines Area Community College and currently an adjunct professor at Simpson College. Contact Cara Shindler at cshindler@gilbertcook.com for more information regarding the latest updates with Gilbert & Cook. Read Shea's full bio online. DSM Wealth joined us at our recent Mid-Year Economic Update event. Gilbert & Cook hosted a panel discussion on the state of the public and private marketplace - moderated by Brandon Grimm, and featuring panelists: Chris Cook, Eric Lohmeier, and Matt Schilling. Read the article, written by DSM Magazine author, Steve Dinnen. This article was featured in the Des Moines Business Record, published on July 6th 2018. Read the full online issue (here). Gilbert & Cook Celebrates 25 Years! The Gilbert and Cook core belief that people always come first finds its roots back to 1993. After Linda Cook’s early career in investment planning convinced her long-term relationships are much more valuable than selling something, she started her own independent firm in Des Moines. Linda set out to truly understand her clients, listen to what they wanted to achieve and find the right solutions to meet their needs. 25 Years later, the mission remains the same. Linda was joined in 2000 by Marlis Gilbert. Marlis’ many years of experience, including a primary focus on financial planning, made her a great match and asset for the firm. Together, the two worked to build a team environment, cultivating a partnership mentality to grow the firm. In 2009, Linda’s husband, Chris, who is a Certified Public Accountant (CPA) and a Chartered Financial Analyst (CFA), joined the firm as the Chief Investment Strategist. Because of the well-rounded leadership at Gilbert and Cook, clients get specialized expertise in many different fields. As a private wealth management firm, Gilbert and Cook offers many different services in financial planning and investments. The firm specializes in life transitions, whether that be a major business transaction, a death in the family, divorce, retirement or many more major life events. Gilbert and Cook serves families, individuals and businesses. In all of those services, clients are treated with personal care and receive tailored solutions to problems, rather than a one-size-fits-all approach. The team at Gilbert & Cook works to bring clarity to the various choices their clients face, and provide the confidence needed to make important wealth decisions. In short, if you are dealing with something complex - Gilbert and Cook professionals can break it down and make it simpler to understand. The Gilbert and Cook investment team has three Chartered Financial Analysts on staff. The CFA designation is regarded as one of the highest certifications in the finance industry. As an independent firm, Gilbert and Cook tailor’s the investment strategy and proprietary asset allocation models for each individual client situation. Going forward, Gilbert and Cook is looking to grow its team with quality and experienced professionals. “We’re always on the lookout to bring on amazing new team members to join our family and provide value to our clients.” Linda said. On July 10th, guests joined Gilbert & Cook for a discussion on the current state of the market, the 2018 economic outlook and expectations in both the public and private marketplace with recent changes and events. Chief Investment Strategist - Gilbert & Cook, Inc.
Gilbert & Cook is celebrating 25 Years - and Growing! What makes a long-term genuine relationship last - professional or personal - is trust. For 25 Years, individuals and families have trusted Gilbert & Cook – accomplishing financial goals, enhancing life experiences, and living a life of abundance. It has been a privilege to be in service to you and your families for the last 25 years. We like to think that our successes over the last two decades can be attributed to an unwavering commitment to providing sophisticated strategies, creating a unique experience, and maintaining genuine relationships with our clients and their families. As we celebrate, we say “Thank You” to all of our clients, professional partners and team members, both past and present. We truly thank you for all of your support, collaboration and we look forward to our continued relationship... and to all of the exciting things to come! We are happy to welcome three new team members to the Gilbert & Cook family! As Vice President Strategic Planning, Heather works with the Gilbert & Cook team to develop creative business solutions. Heather earned her bachelor’s degree from University of Northern Iowa and brings a 20 year history of success within the business community, including experience in Fortune 50 and Big 4 firms. In addition to Financial Services, she has background in IT, Professional Services, Business Strategy and Business Development. Heather serves as a mentor in the Kids Hope USA program and is a regular volunteer and supporter for the Alzheimer’s Association. As the firm's Administrative Assistant, Emily is the first point of contact for clients, business partners and guests. Emily is originally from Southwest Iowa. She graduated with a Bachelor’s degree from Simpson College, majoring in Management and minoring in Marketing. She is active in her church, enjoys traveling with friends and family, and loves babysitting. As a Relationship Manager, Brian walks alongside the Lead Advisor, meeting the clients needs throughout their relationship. Brian graduated from the University of Wisconsin-Whitewater with a Bachelor’s degree in Finance in 2014. He moved to Des Moines from Milwaukee, Wisconsin in March 2018. He is excited to use his talents to facilitate the clients of Gilbert & Cook to live their life of abundance. Brian enjoys being active in life with his many hobbies including: tennis, basketball, backpacking, and traveling to new places. 2017 turned out to be a very attractive year in financial markets around the world. Stocks were the story, but even bonds (Barclays US Aggregate index) were up +3.54%. US large companies (as represented by the S&P 500 index) rose +21.83%, US small companies (Russell 2000 index) posted +14.65%, and international stocks (MSCI EAFE index) won the year at +25.03%. The first year in 5, by the way, where Europe Australia and the Far East developed markets (EAFE) performed better than the S&P 500, and only the 2nd year in the past 8. The S&P 500 had a positive total return (price + dividends) each and every month during 2017. Remarkable. So where from here? What does 2018 hold for investors? We’re side-stepping the direct question a bit as we paint a broader perspective. Whether we credit Nostradamus, Mark Twain, or Yankee catcher/philosopher Yogi Berra, it is true; “It is difficult to make predictions, particularly about the future”. Certainly, that humorous quip does not keep mortal men from offering our honest and educated guesses about future events. (Think politicians, economists and meteorologists). But let’s have some candid reflection about our collective ability to do so. Who would have predicted nine years ago that we would stand on top of mounting records in US equity markets? That interest rates would still be near historic lows? Or that Amazon’s market capitalization would easily eclipse that of Wal-Mart, Target, Kroger, Best Buy, Kohls, Macy’s, Dicks Sporting Goods, Under Armour, Dollar General, TJ Maxx, (plus others) combined? A family can’t live in a virtual single-family home, but they certainly can shop for goods that way. FYI…Target on its own made more profit over the past year than Amazon. That nine-year reference is an important one. 2008 saw the S&P 500 drop by -37%. The world was in the vice grip of financial system paralysis, and predictions of economic prosperity, lets be honest, were as scarce as home equity. We all remember it. How it felt. Not to read about it from a 1929 history book, but to run our lives through it. To make a forecast on January 1st, 2009, that the S&P 500 would increase on average more than 15% per year for the next nine would have come with a side of pixie dust. Incidentally, the market would have been down nearly -25% to start that bold prognostication before ultimately coming true. Backtrack even further to 1968. The brightest minds from multiple disciplines were assembled in New York for the Foreign Policy Association’s fiftieth anniversary. Within the throws of the Vietnam War and the cloud of Martin Luther King’s assassination, their charter was to look fifty years into the future, documented in a book called “Toward the Year 2018”. Clear misses such as nuclear replacing natural gas and “the suppression of lightning” can be coupled with eerie accuracies like “large-scale climate modification will be effected inadvertently” from carbon dioxide. Or, “a global communication system (of weather and communication satellites) would permit the use of giant computer complexes” with the revolutionary potential of a data bank that “could be queried at any time”. Spooky. So is “putting broad-band communications, picture telephones, and instant computerized retrieval in the hands of (humans)…is much too optimistic” to assume that these same technologies would entail the ability to use them wisely. The biggest misses, however, were outlined recently by Paul Collins of The New Yorker in the current, real-life 2018. “Not a single writer predicts the end of the Soviet Union – who in their right mind would have. There’s also nary a woman contributor, nor a chapter on civil rights in sight.” The 1968 book did ask the question: “Will our children in 2018 still be wrestling with racial problems, economic depressions, other Vietnams?” and then forgets to answer. does not attempt precise calculation. The Gilbert & Cook investment process shapes to each circumstance. Future client events are planned for now and a diverse mix of tools are set in place to anticipate multiple forecasts. Near-term, mid-term, and long-term categories are matched to the risks and rewards fashioned together by our team and the client. We spend our predictive power and experience on those issues that can be controlled. We do still have thoughts around the obstinate big picture as the US economy has every chance to continue growing the next few years, thereby setting the record for the longest uninterrupted (by a recession) expansion in our nation’s history. While stretched in terms of time, the dollars produced in this recovery trail past accounts so our view is toward sustainable growth. New US corporate tax laws are favorable to company profitability and free cash flow providing a 2018 tailwind for stocks. International equities may continue to outperform the US due to being earlier in their economic recovery cycle and more favorable in valuation and currency effect. And our expectations for bond returns are muted, but continue to provide inevitable volatility control for stocks. That’s the beauty, excitement, and reward of it; that no one can truly know in absolutes what lies around the corner. Rely on process, not prediction. Provides complex and highly confidential administrative and support staff services to the Gilbert & Cook team. Must exercise judgment and discretion in the handling of telephone calls, scheduling appointments and relieving the executives of administrative detail. In this fast paced, professional environment, the administrative assistant will independently handle a wide variety of situations and conflicts that are non-routine. - Conduct business as the first point of contact in the front office: greeting guests and offering drinks. - Maintain the office appointment schedule by planning and scheduling meetings, conferences, teleconferences and travel. - Welcome guests and clients by greeting them, in person or on the telephone; answering or directing inquiries. - Maintain office electronic files. - Assist with planning all-staff events, including obtaining accommodations and negotiate contracts with vendors if necessary. - Compose correspondence, prepare reports and conducts special projects as directed. - Responsible for maintaining the appearance and condition of our office including: set-up of meeting spaces, office supply inventory, and kitchen. - Assisting firm President with administrative duties. - Excellent verbal and written communication skills to respond to sensitive and/or technical customer/employee situations with a high degree of diplomacy and confidentiality. - The ability to multi-task, attention to detail and strong organizational and independent problem-solving skills are required. - Exceptional computer skills, including adaptability to utilize various software packages such as our client management system, scanning, Microsoft Office Suite, etc. - Team player, able to work well with individuals at all levels of the firm as well as with high net-worth clients. - Professional office experience preferred. Too quickly, the time has passed us by. After 14 years with Gilbert & Cook, Mary Ann Baker will retire at the end of the year. She has been an important part of our family and truly embodies what it means to have a genuine relationship - a core value of the Gilbert & Cook team. Fourteen and a half years ago, I moved to Des Moines and was known by what mortgage people call the "trailing spouse", as I relocate a lot because of my husband's advancing career. As usual, I had applied for positions online during the moving process. While unpacking, I received a call from Gilbert & Cook to come in for an interview. Upon arriving at the office, my first impression was that this place was nothing like any other office I had worked in - and in all of my travels, I have worked in several. The office had a warm, cozy, home-like atmosphere. It was something that I had never seen in an office environment before and I welcomed it. I had found an office in which their clients and staff came first. Caring for people is my passion, so I accepted the offer in a heartbeat. I have come to love the team at Gilbert & Cook and "my" clients as if they were my family. Yes, I call each and every one of them "my clients", as I have come to love them all as if we were related. I love to hear about their families, adventures and care about their trials and troubles. This letter is bitter sweet. I am off on a new adventure called "retirement" and I have very mixed feelings. I am excited for my husband, Marty and I to enjoy what we have worked so hard to accomplish, but I am also going to miss the daily connections to my office family and "my clients" lives. Fourteen years is a long time, in which I have made some lifelong friends. I will keep you all in my thoughts and prayers and hope you know that I will always be thankful for this experience. Thank you to all for being a part of my life. I will cherish the memories. This material was prepared by MarketingPro, Inc., and does not necessarily represent the views of the presenting party, nor their affiliates. The information herein has been derived from sources believed to be accurate. Please note - investing involves risk, and past performance is no guarantee of future results. Investments will fluctuate and when redeemed may be worth more or less than when originally invested. This information should not be construed as investment, tax or legal advice and may not be relied on for the purpose of avoiding any Federal tax penalty. This is neither a solicitation nor recommendation to purchase or sell any investment or insurance product or service, and should not be relied upon as such. Indices do not incur management fees, costs and expenses, and cannot be invested into directly. All economic and performance data is historical and not indicative of future results. The Dow Jones Industrial Average is a price-weighted index of 30 actively traded blue-chip stocks. The NASDAQ Composite Index is a market-weighted index of all over-the-counter common stocks traded on the National Association of Securities Dealers Automated Quotation System. The Standard & Poor's 500 (S&P 500) is a market-cap weighted index composed of the common stocks of 500 leading companies in leading industries of the U.S. economy. NYSE Group, Inc. (NYSE:NYX) operates two securities exchanges: the New York Stock Exchange (the “NYSE”) and NYSE Arca (formerly known as the Archipelago Exchange, or ArcaEx®, and the Pacific Exchange). NYSE Group is a leading provider of securities listing, trading and market data products and services. The New York Mercantile Exchange, Inc. (NYMEX) is the world's largest physical commodity futures exchange and the preeminent trading forum for energy and precious metals, with trading conducted through two divisions – the NYMEX Division, home to the energy, platinum, and palladium markets, and the COMEX Division, on which all other metals trade. The DAX 30 is a Blue Chip stock market index consisting of the 30 major German companies trading on the Frankfurt Stock Exchange. The CAC-40 Index is a narrow-based, modified capitalization-weighted index of 40 companies listed on the Paris Bourse. The STOXX Europe 600 Index is derived from the STOXX Europe Total Market Index (TMI) and is a subset of the STOXX Global 1800 Index. The FTSE 100 Index is a share index of the 100 most highly capitalized companies listed on the London Stock Exchange. BSE Sensex or Bombay Stock Exchange Sensitivity Index is a value-weighted index composed of 30 stocks that started January 1, 1986. The Nikkei Asia300 Index is based on the "Asia300" group of must-watch companies selected by Nikkei. The composite index is supplemented by an index focusing specifically on companies in the ASEAN region, as well as individual indexes for 11 countries and regions. The MSCI World Index is a free-float weighted equity index that includes developed world markets, and does not include emerging markets. The MSCI Emerging Markets Index is a float-adjusted market capitalization index consisting of indices in more than 25 emerging economies. The Russell 2000 Index is a small-cap stock market index of the bottom 2,000 stocks in the Russell 3000 Index. The CBOE Volatility Index® is a key measure of market expectations of near-term volatility conveyed by S&P 500 stock index option prices. The PHLX Oil Service Sector Index (OSX) is a modified market weighted index composed of companies involved in the oil services sector. Additional risks are associated with international investing, such as currency fluctuations, political and economic instability and differences in accounting standards. This material represents an assessment of the market environment at a specific point in time and is not intended to be a forecast of future events, or a guarantee of future results. MarketingPro, Inc. is not affiliated with any person or firm that may be providing this information to you. The publisher is not engaged in rendering legal, accounting or other professional services. If assistance is needed, the reader is advised to engage the services of a competent professional. Open the full Key Financial Data report for 2017. This report includes important information regarding the 2017 Tax Rate Schedule, standard deductions and exemptions, tax rates on capital gains and qualified dividends, exemption amounts for Alternative Minimum Tax, gift and estate tax exclusions and credits, education credits and deductions and tax deadlines. The article below was published as a Market Bulletin on November 9th, 2016 by Dr. David Kelly, Chief Global Strategist with J.P. Morgan Asset Management. Click here to view a PDF of the original publication. After a long and brutal U.S. Presidential election campaign, Donald Trump has emerged victorious, with Hillary Clinton conceding in the early hours of the morning, and Trump congratulating her on a hard-fought campaign. Importantly, the swing to the Republicans also saw the party retain control of the U.S. Senate. In a much easier-to-predict result, the Republicans retained a comfortable majority in the House of Representatives. Trump’s victory was achieved by tapping into, and to some extent, stoking general voter discontent. While most of the campaign on both sides was negative, Trump’s populist messages of lower taxes, gun rights and a conservative religious agenda, allied with opposition to trade agreements and illegal immigration, were ultimately successful in knitting together a winning coalition. Markets had been anticipating a Clinton win, which would have represented a continuation of the status quo. Trump’s victory, by contrast, has elevated global uncertainty, partly because of the danger of a trade war and partly because it is not clear which parts of a very ambitious agenda of tax cuts, increased defense and infrastructure spending and health care reform can, or will, be implemented. Global financial markets have reacted in predictable “risk-off” fashion, with global stock markets and oil prices falling, and gold and U.S. Treasuries rising. The Mexican peso has fallen, as has the U.S. dollar. First, the U.S. economy that President Trump will inherit is in pretty good shape. Real economic growth has picked up in recent months while the unemployment rate, at 4.9%, is close to any economist’s definition of full employment. S&P 500 earnings have rebounded smartly from the oil and dollar induced slump of 2015 and inflation is still moderate. Moreover, the global economy is also showing signs of life with the global manufacturing purchasing managers’ index hitting a two-year high in October. All of this, absent political uncertainty, would be positive for stocks and negative for bonds. Second, the uncertainty and volatility following the U.S. election will, for now, reduce the probability of a Federal Reserve (Fed) rate hike in December, although the Fed will want to leave its options open until it can assess the market and economic fallout from the election result. Third, while last night’s results represented a Republican sweep, actual policy change may be far less dramatic than was proposed by Trump during the campaign. First, it should be noted that there is a wide gulf between Trump’s agenda and that of many “establishment” Republicans and the latter may well balk at unfunded tax cuts or spending increases. In addition, both the new President and Congress will likely act more slowly on dismantling the Affordable Care Act or trade agreements, until some better alternatives can be found. Finally, it should be noted that, as has been the case elsewhere in the world this year, voters have chosen change over caution and politicians tend to respond to what voters want rather than what they need. While the Trump agenda is unlikely to be implemented in full, members of Congress may be willing to go along with some proposals to increase spending, lower taxes, reduce illegal immigration and increase tariffs. If they do so, they may well further stoke inflation in an economy that is already heating up. Longer term, increasing government debt to fund these initiatives has obvious dangers. The knee-jerk reaction of investors to last night’s election was to sell U.S. and global stocks and buy Treasury bonds. However, in the medium term, a warming economy, further stoked by expansionary fiscal policy, could favor the former over the latter. In the long-run, investors would do well to make sure that they are well diversified outside of U.S. stocks and bonds and that they have sufficient exposure to alternatives and international securities. In light of the Brexit vote and the U.S. elections, 2016 has proven decisively that populism is a good political strategy— whether it proves to be good for long-term economic fortunes is another question entirely. DISCLOSURE: The Market Insights program provides comprehensive data and commentary on global markets without reference to products. It is designed to help investors understand the financial markets and support their investment decision making (or process). The program explores the implications of economic data and changing market conditions for the referenced period and should not be taken as advice or recommendation. The views contained herein are not to be taken as an advice or a recommendation to buy or sell any investment in any jurisdiction, nor is it a commitment from J.P. Morgan Asset Management or any of its subsidiaries to participate in any of the transactions mentioned herein. Any forecasts, figures, opinions or investment techniques and strategies set out are for information purposes only, based on certain assumptions and current market conditions and are subject to change without prior notice. All information presented herein is considered to be accurate at the time of production, but no warranty of accuracy is given and no liability in respect of any error or omission is accepted. This material does not contain sufficient information to support an investment decision and it should not be relied upon by you in evaluating the merits of investing in any securities or products. In addition, users should make an independent assessment of the legal, regulatory, tax, credit and accounting implications and determine, together with their own professional advisers, if any investment mentioned herein is believed to be suitable to their personal goals. Investors should ensure that they obtain all available relevant information before making any investment. It should be noted that investment involves risks, the value of investments and the income from them may fluctuate in accordance with market conditions and taxation agreements and investors may not get back the full amount invested. Both past performance and yield may not be a reliable guide to future performance. J.P. Morgan Asset Management is the brand for the asset management business of JPMorgan Chase & Co. and its affiliates worldwide. This communication is issued by the following entities: in the United Kingdom by JPMorgan Asset Management (UK) Limited, which is authorized and regulated by the Financial Conduct Authority; in other EU jurisdictions by JPMorgan Asset Management (Europe) S.à r.l. ; in Hong Kong by JF Asset Management Limited, or JPMorgan Funds (Asia) Limited, or JPMorgan Asset Management Real Assets (Asia) Limited; in India by JPMorgan Asset Management India Private Limited; in Singapore by JPMorgan Asset Management (Singapore) Limited, or JPMorgan Asset Management Real Assets (Singapore) Pte Ltd; in Taiwan by JPMorgan Asset Management (Taiwan) Limited; in Japan by JPMorgan Asset Management (Japan) Limited which is a member of the Investment Trusts Association, Japan, the Japan Investment Advisers Association, Type II Financial Instruments Firms Association and the Japan Securities Dealers Association and is regulated by the Financial Services Agency (registration number “Kanto Local Finance Bureau (Financial Instruments Firm) No. 330”); in Korea by JPMorgan Asset Management (Korea) Company Limited; in Australia to wholesale clients only as defined in section 761A and 761G of the Corporations Act 2001 (Cth) by JPMorgan Asset Management (Australia) Limited (ABN 55143832080) (AFSL 376919); in Brazil by Banco J.P. Morgan S.A.; in Canada for institutional clients’ use only by JPMorgan Asset Management (Canada) Inc., and in the United States by JPMorgan Distribution Services Inc. and J.P. Morgan Institutional Investments, Inc., both members of FINRA/SIPC. ; and J.P. Morgan Investment Management Inc. Copyright 2016 JPMorgan Chase & Co. All rights reserved. The right investment advisor does what's right for you. A Registered Investment Advisor (RIA) is a professional advisory firm that offers personalized financial advice to its clients, many of whom are affluent. Many independent RIAs work with complex portfolios and address unique needs that require a highly customized level of investment management strategy and consultation. RIA firms are registered with the Securities and Exchange Commission or state securities regulators, are subject to the Investment Advisers Act of 1940, and have a fiduciary duty to act in the best interest of their clients. 1) Get advice based on what's best for you. Whether it's your retirement planning, tax situation, estate planning or assets at multiple places, it's fundamentally important that your advisor truly understand you, your goals and your situation. Many independent registered investment advisors (RIAs) are in a position to do that and pride themselves on strong personal interaction with their clients and dedication to their needs. They believe that their independence is key to offering investment advice based on what's best for their clients. 2) Understand exactly what you're paying for. Independent RIAs typically charge a fee based on a percentage of total assets managed. This fee structure may have advantages. It's simple and easy to understand, helping to avoid surprises. It also gives your advisor an incentive to grow your assets - when you succeed, your advisor succeeds. 3) Get advice for your complex needs. Many independent RIAs provide services that address a variety of complex investment needs that often arise when you accumulate significant wealth, such as assisting you with the sale of a business, complicated tax situations, trusts and inter-generational issues. Some advisors are specialists in certain investment strategies. Others can assist you with comprehensive services, such as estate planning or borrowing. Given the rich diversity of specialization throughout the industry, no matter how complex your individual needs, you will likely find an independent RIA who can provide advice that's right for you. 4) Enjoy a different kind of relationship. 5) Know where your money is held. RIAs typically use institutional custodians - generally large brokerage firms or banks - to hold and safeguard their client's stocks, mutual funds and other assets. These custodians also provide important infrastructure services such as executing trades and preparing monthly brokerage statements for clients. This helps an RIA focus on understanding your needs and providing the best advice possible. State-registered RIAs may not file a Form ADV, and advisors who are exempt reporting firms only complete parts of Form ADV. This content is made available by Charles Schwab & Co., Inc. for educational purposes. ©2011 Charles Schwab & Co., Inc. All rights reserved. Member SIPC. The Bipartisan Budget Act of 2015 impacts two important claiming strategies: "Restricted Application" and "File & Suspend." The first change will limit use of this strategy. If you haven't reached age 62 by the close of 2015, it will no longer be possible to file a restricted application to receive spousal benefits (based on someone else's earnings record) while delaying your own retirement benefit (based on your own earnings record). Instead, an application for any Social Security benefit will be deemed to be an application for all benefits you might be entitled to, and you will receive the highest benefit you are eligible for. However, if you are already 62 or older on December 31, 2015, these changes do not apply to you. In other words, if your date of birth is before January 2, 1954, you will still be able to file a restricted application when you reach full retirement age to receive spousal benefits (to receive benefits based on your spouse's earnings) while deferring your own retirement benefit (based on your own earnings record). If you have any concerns regarding social security claiming strategies or questions about your financial situation, please contact Marlis Gilbert, our Chief Planning Strategist, by calling 515-270-6444.